The bays of Huatulco (Bahias de Huatulco) is divided into four main areas. One of these areas is the small town of Santa Cruz, the most centrally located bay with a large pier where cruise ships dock. Santa Cruz is the hub of commercial and tourist activities. Santa Cruz offers many amenities including hotels, craft shops, bars, restaurants, excursion agencies and rental shops. 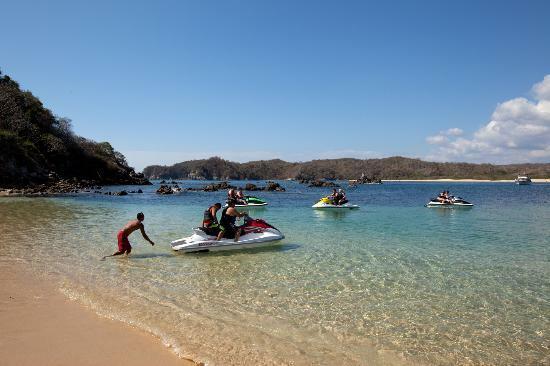 Enjoy a day of fun in the sun on the beach or book a fishing/tour boat, hobie cat or seadoo and enjoy a day out on the water exploring Huatulco’s 9 bays and 36 beaches. For the sports minded, check out Santa Cruz on Mondays at 4pm near the gas station where you can join local and expats for a friendly game of volleyball. It is a great way to meet like-minded people in the community while having a little fun at the beach. 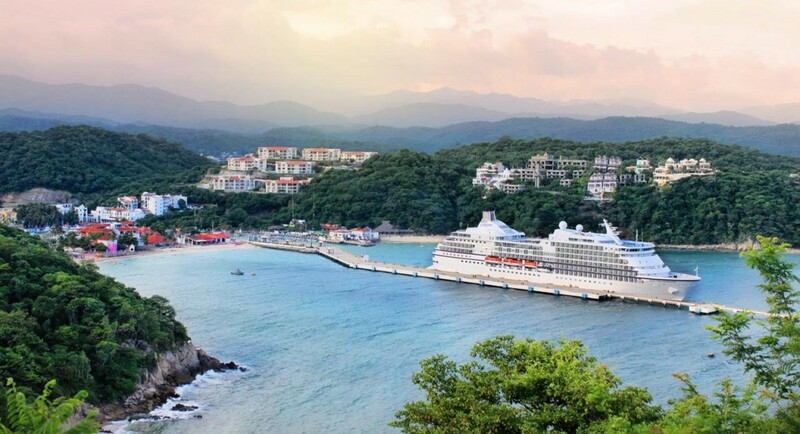 A visit to Santa Cruz offers an excellent opportunity to sample authentic Oaxacan cuisine and fresh seafood. 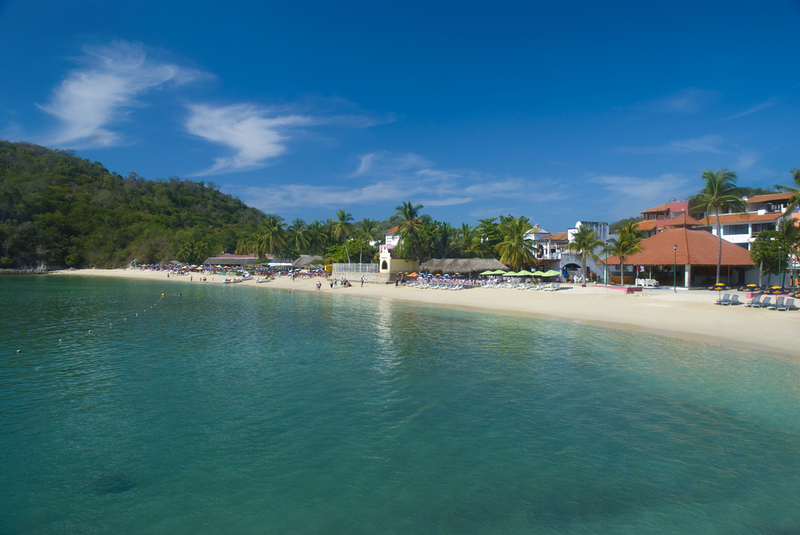 There are numerous beachfront palapas and restaurants where you can enjoy fresh fish and seafood. 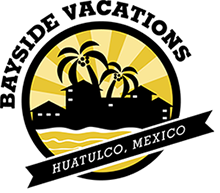 There are also shops along the beach and marina area where you can purchase Mexican black pottery, silver, crafts and other handmade items. Hi Erin, Love the article! You need a Facebook share button!! 🙂 Have a great day! Thanks for the love Caroline! We now have our Share button up and running again! !